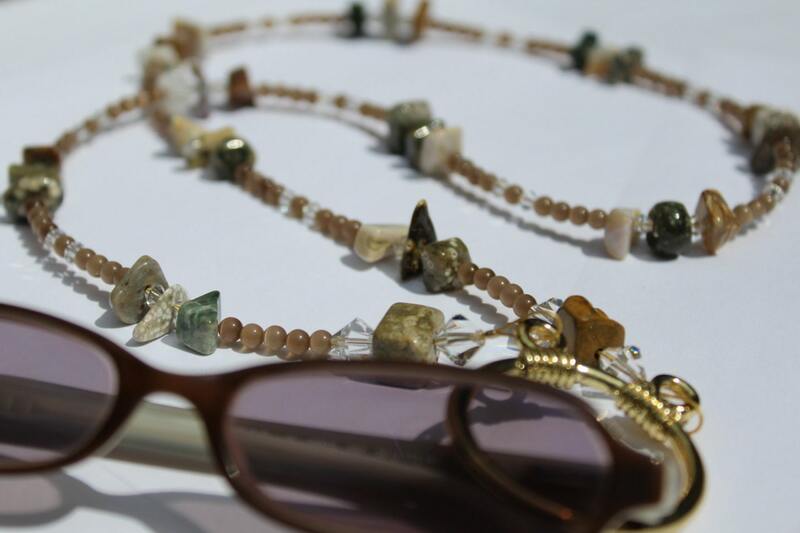 This eyeglass necklace truly captures the beauty of earth and nature, with it's brown tone cat's eye and ocean jasper beads. Eyeglass necklaces are so useful for holding your glasses, but this one is so stunning, it's an accessory you'll want to wear because of its unique necklace look! All the clear beads used in this eyeglass necklace are genuine Swarovski crystals. This eyeglass necklace is made using a gold tone ring at the end. Just slip an arm of your glasses, through the ring until you need them again. Simple and easy to use. 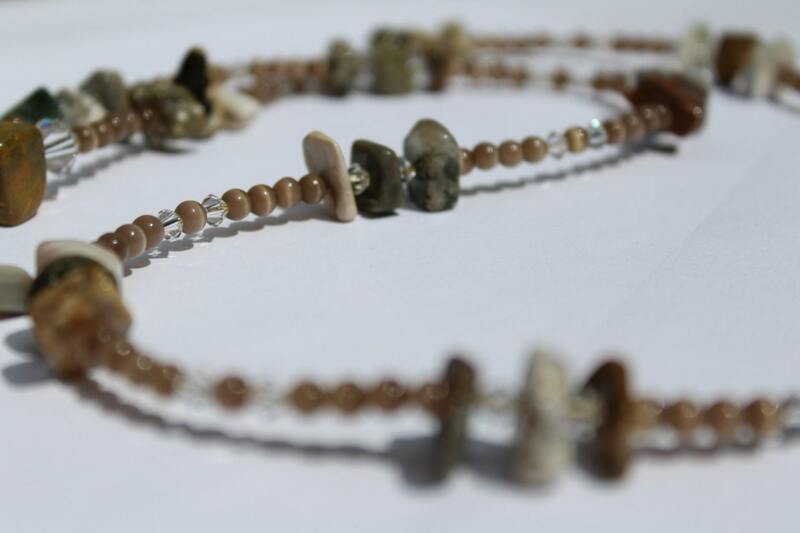 *Some people believe that Ocean Jasper brings the spirit of peace and letting go, to those who wear it. It is believed to bring strength and renewal by eliminating stress and stabilizing the aura. It is a stone of joy and high hopes. Makes the perfect gift for that person who loves a natural look.